A guide on how to beat the heat and do so with sweets. The only thing more refreshing than standing in front of the freezer on a hot summer day is reaching into said freezer and grabbing a frosty treat to help cool you to the core. For those who have both a sweet tooth and an aversion to warm weather, it may be difficult to determine whether this is a blessing or a curse. If this sounds familiar, be sure to make the most of the situation and keep your freezer well-stocked with one the following refreshing summertime desserts! No conscience can ever feel too guilty about eating copious amounts of ice cream when matcha powder is one of the main ingredients. Take a decidedly Zen approach to consuming this treat and focus on matcha’s health benefits. You could head to the grocery store and buy a few boxes of popsicles with a host of strange ingredients, which conjure images of anything but food—or you could make these delicious popsicles that require only 5, all-natural ingredients. The choice is yours. Were you impressed by the fact that the strawberry and blackberry popsicles have only 5 ingredients? Well, then prepare to have your mind blown by the fact that this ice cream only has 3 ingredients. Boo ya! Light and perfectly smooth ice cream whose texture is perfectly offset by crunchy, toasted almonds. The best part? It’s sugar-free. 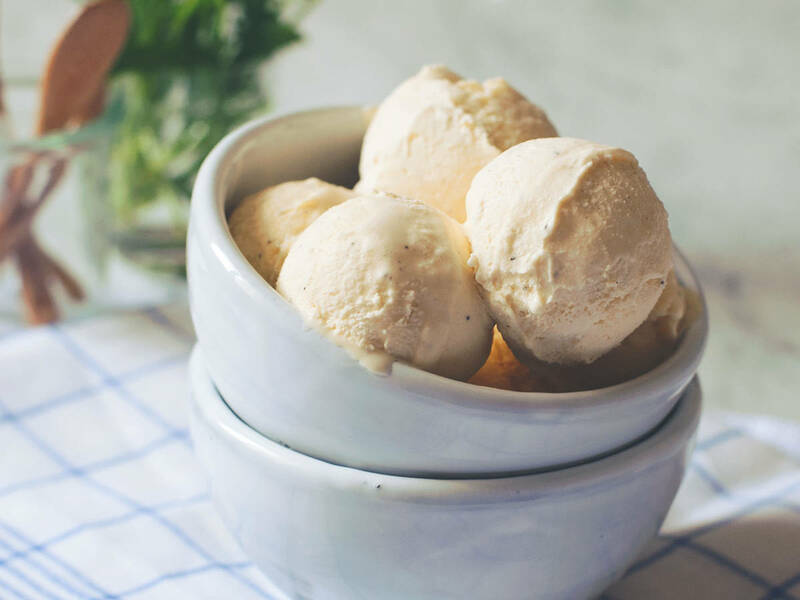 For the dessert traditionalists out there, here’s our tried and tested recipe for simple, satisfying, 100% delicious vanilla ice cream. One bite and you’ll feel as though you’re in heaven and entirely oblivious to the heat around you.